Effectively using energisers and ice breakers at large corporate events with astounding results! 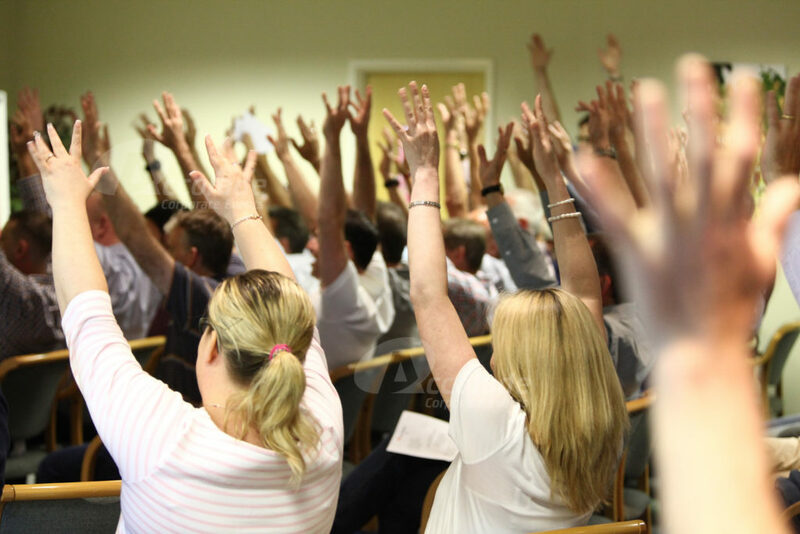 We often get asked to help with energisers and icebreakers for large corporate events, it always sends a wave of excitement through the office as we imagine harnessing the power of anything from 100 people up to 8000 people. We can acheive amazing results in a very short time, give us 10 minutes and we'll energise your group in a way you didn't think possible with our superb Clap Happy energiser but if you have 30 minutes, then hold onto your seats because the authentic HAKA Maori warriors will send an amazing surge of energy, of power and of purpose through your conference and whats more, we can tailor it to your specific company message. Let's take a look and see what conference icebreakers could effectively work for any group of 100 people right up to a whopping 8000! Clap Happy and Body Percussion - Ideal for when you are short of space and short on time, these brilliantly energising events can be hosted in as little as 10 minutes and either have absolutely no set up time needed or can be set up in minutes! The HAKA, Boomwhackers, Your Song, Junk Funk can all be hosted between 20 and 40 minutes and each has minimal set up time, they are great icebreakers and really do energise your conference! If you have a little more time 45 minutes and over, then there are even more conference event ideas; The Big Picture, Team Millionaire and Team Apprentice are just a tiny selection of the inspirational team events we can host for your company. All of the energisers icebreakers at large corporate events are designed specifically to break the ice, to ensure that people from different departments actually speak to each other and form a bond which they can take back to the workplace and all in a relaxed, fun and inspirational environment. Literally any size group you can imagine and at any venue of your choice around the world - we can help you! If you've got a large group and need some inspiration for motivational icebreakers, then call our events team on 0800 083 1172 today and ask for a completely free of charge quote.